Torsion Springs | Torsion Springs | American Precision Spring American Precision Spring Corp.
Torsion Springs are helical springs which apply a torque or rotary. American Precision Spring offers two forms of torsion springs which are single-bodied and double-bodied springs. Our torsion springs can be used in a variety of applications varying from fine spiral balance springs in mechanical watches to the much heavier torsion springs found in heavy equipment and automobile. This kind of spring can store and release angular energy by holding a mechanism in place allowing the tension to force the legs apart. 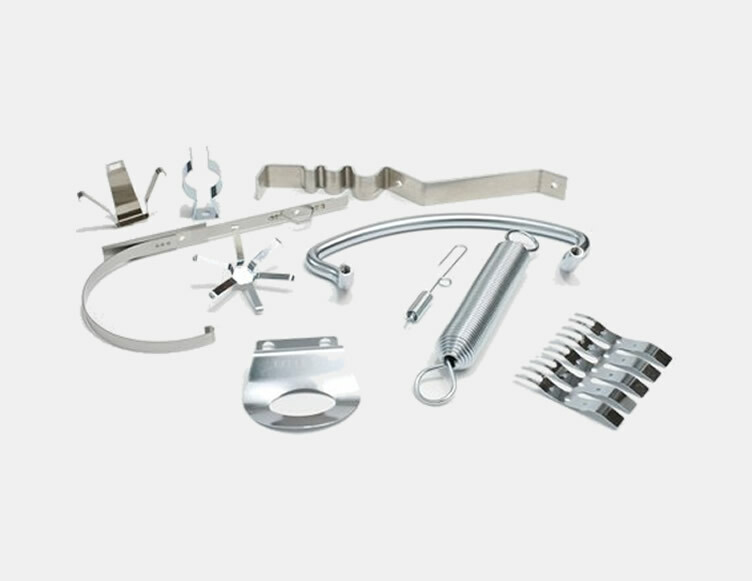 Our Torsion springs can be designed to be wounded in either a clockwise or a counter-clockwise direction. When designing these kinds of springs, it is best to have the spring wind instead of unwind as a load is being applied to it. Our precision equipment can use a number of different materials to coil the torsion springs to the appropriate number of winds to meet your project specifications. As one of the Bay Area’s leading torsion spring suppliers, American Precision Spring has the right tools to efficiently manufacture and deliver the springs you need for your project. Our goal is be your best torsion springs supplier. Contact us today to learn more about our torsion spring manufacturing capabilities.